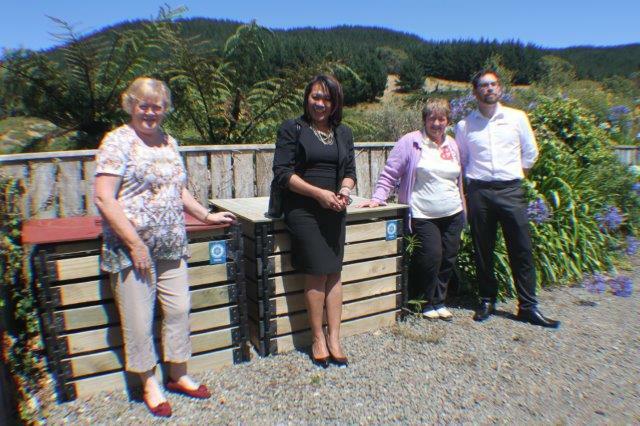 The photo shows Tawa Rotarians Gaylene Lines and Irene Corpuz handing over the new compost bins to Marlene Bowles, Activities Coordinator at Longview, and the Clinical Nurse Manager Michael Nestmann. Original generation time 1.9119 seconds. Cache Loaded in: 0.0413 seconds.